1. South Vermont Loop - This is the so-called "Gateway to Vermont," and to discover it you will need to drive your motorhome rental from Route 7A at Manchester Center south. This route takes you all the way into Massachusetts before doubling back to the Manchester Depot again via Route 7 north from Bennington. A sidetrip to the Somerset Reservoir is recommended. This tour through Bennington and Windham counties will take you through historical towns like Manchester, Sunderland and Arlignton and will also give you the chance to glimpse the imposing Mount Equinox if you so choose. 2. The Northeast Kingdom - If you want the "real Vermont," complete with traditional farms, then this is the route for you. Start off in your motorhome rental in the town of St. Johnsbury where you will set off along Route 2 east, travelling along the Connecticut River, until you reach Route 102, which you take north to Bloomfield. This route passes through towns like Newport, North Troy and Lowell and on the way you can enjoy the changing fall leaves. To get back to St. Johnsbury take Route 15 from Hardwick to West Danville and then head down Route 2, which will take you back to the beginning. If you enjoy outdoor sports like fishing then the Northeast Kingdom route is one you shouldn't miss. 3. Five Covered Bridges - If you love covered bridges in addition to your multi-coloured leaves then this is certainly the motorhome rental drive for you. Travel along Route 109 where the first three bridges will appear in Waterville. Back on Route 109 head to Back Road. Here you will find two more bridges before you reconnect with the main highway again. 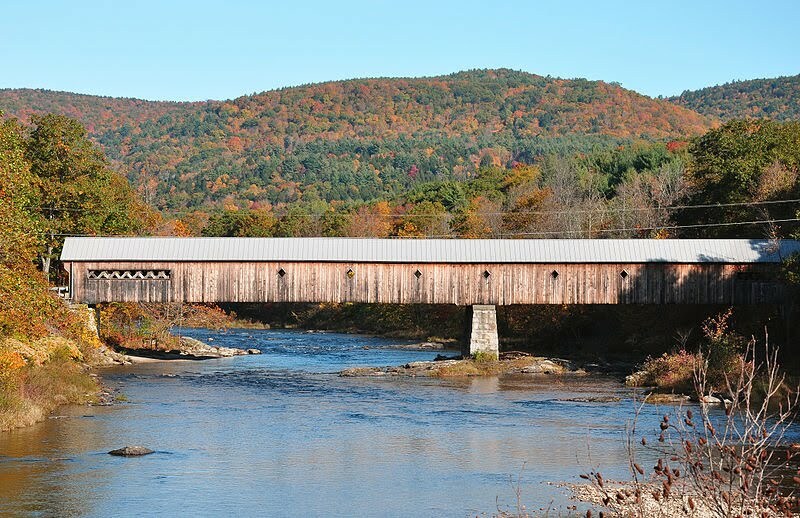 The covered bridges you can discover along this route are a distinct reminder of Vermont's rich past and the tolls once taken to construct these covered structures in past centuries. 4. Western Loop - Another great option for gorgeous scenery as you drive through towns and country in your RV rental is Vermont's Western Loop. This trail starts at Rutland, a town founded in 1770 near the Green Mountains, where you take Route 4 east until you merge with Route 100A at Bridgewater Corners. Following the directions of this drive will also take you through Wallingford, Pawlet and Hubbardton. The final stop is Brandon where you can take Route 7 to Proctor before hopping on Route 3 back to the starting point in Rutland. 5. Stowe-Morrisville Loop - In this area you will find Stowe Mountain, a ski resort, which is about a forty minute drive from Burlington International Airport and 205 miles from Boston. 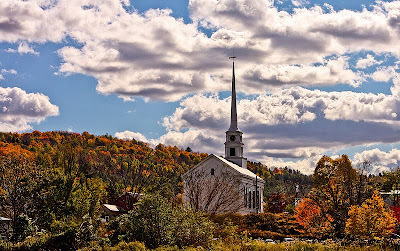 In the fall the changing leaves in this area can be enjoyed along with a bustling nightlife and restaurant scene in Stowe, which can be reached by taking Vermont I-89 to Waterbury then exiting on Route 100 into the village. Continuing on take Mountain Road to Route 108 northwest, which will take you to Smuggler's Notch and then Jeffersonville. 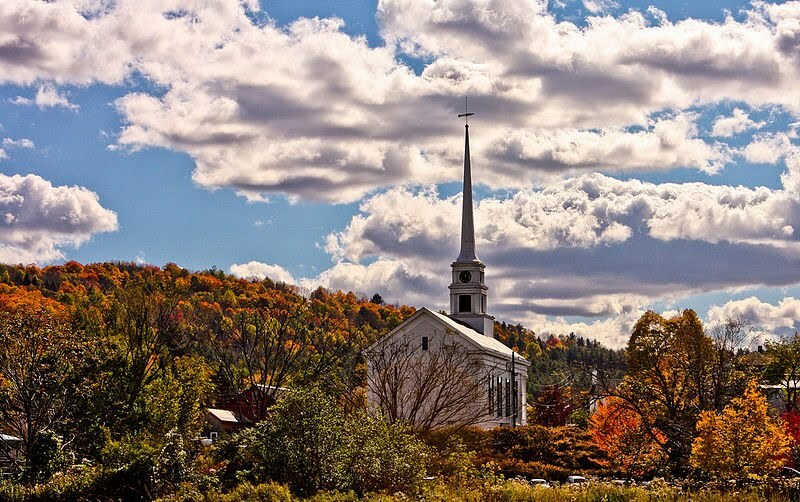 To head to the village of Morrisville (be sure to check out the confederate bell at the Morristown Advent Church) take Route 15 and when you're ready to return to Stowe Village just steer your RV rental back onto Route 100. For more information on New England roadtrips visit MotorhomeRoadtrip.Com.